I found vintage Mickey Mouse Lunch Sacks (circa the 1970s) in my mother's cupboard! I will be back to blogging on Monday. Wish me luck and check out the craziness on Instagram and Twitter! OMG. OMG!!! I'm crying right now... 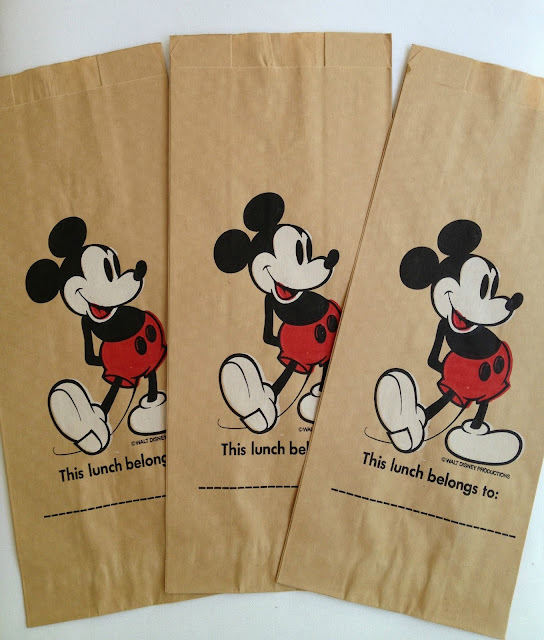 I used to have these lunch bags as kid. I have not seen bags like this in 20 years!!!! What memories these lunch bags bring back to me. and now we call these bags " vintage", my heart aches a bit. 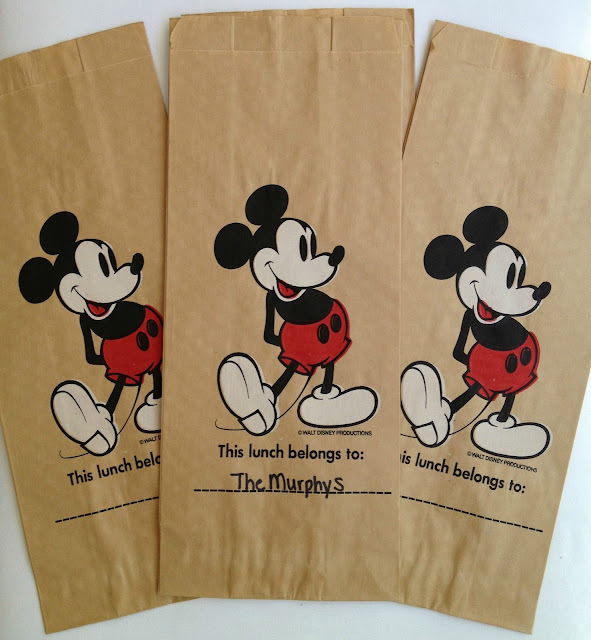 I remember as little girl writing my name on these Mickey lunch bags. Do you remember the Mickey telephone, too??? What found memories, thank you. Really? In your mom's cupboard? Wow - you were one o the lucky ones. 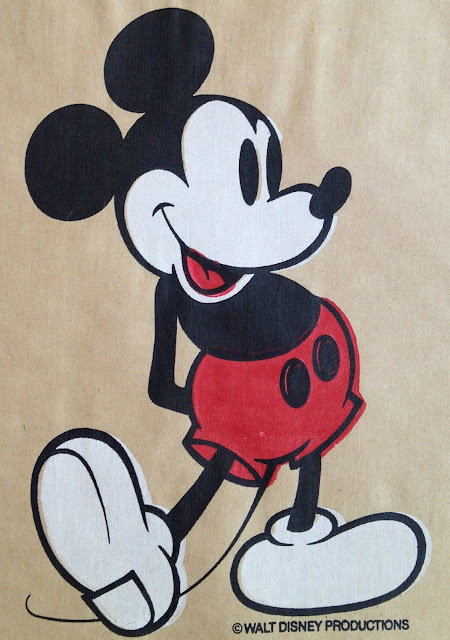 I always wanted the Mickey bags but only got plain brown paper:( I hope you enjoyed your time at the happiest place! Have a safe trip back!